Father Joe’s Villages provides specialized care to homeless Veterans through two programs serving individuals with the most complicated medical and mental health issues. Here’s how we work together with the Department of Veteran’s Affairs to change lives. Father Joe’s Villages has provided housing and services to Veterans who are homeless since we first set up shop in downtown San Diego as St. Mary of the Wayside. In 2003, we received our first grant from the U.S. Department of Veteran’s Affairs to provide specialized transitional housing for Veterans. Then, in 2017, we received two new grants, both from the VA, which have allowed us to expand our services and provide even more specialized care to our nation’s heroes. The Safe Haven program is specifically designed to help veterans who need intensive care due to serious mental illness and/or substance abuse. The program provides intensive case management that is essential to meet the higher needs of these clients. Safe Haven clients receive the assistance necessary to have their individual needs met while empowering them to be able to meet their own needs in the future. The case manager helps with daily activities such as refilling prescriptions and arranging transportation to appointments to more daunting tasks such as helping meet the requirements of long term care programs such as Veterans Affairs Supportive Housing or an assisted living facility. Another new veteran program at Father Joe’s Villages is the Hospital to Housing program. 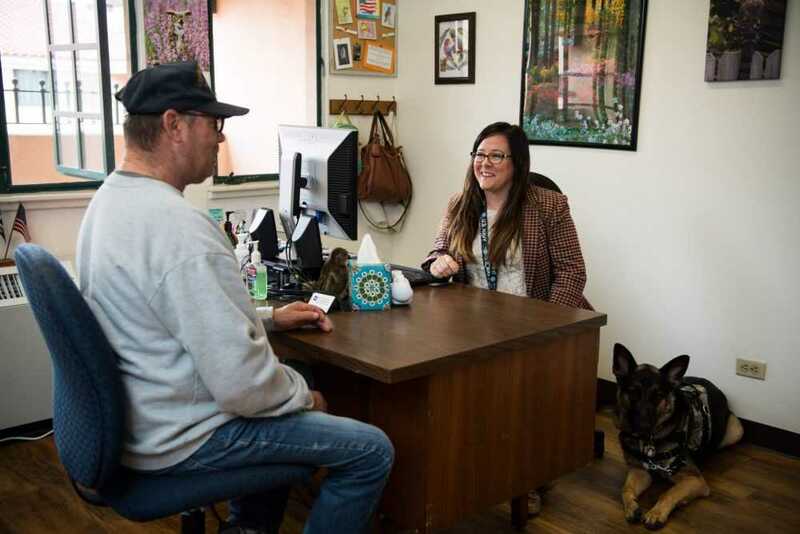 Hospital to Housing is just what the name implies: it is a transitional housing program that prevents homeless veterans who are being released from the hospital from ending up back on the streets. The Hospital to Housing program gives these veterans a safe place to recuperate and case management services to help them attain permanent housing. Instead of the veteran returning to the streets while they are in a vulnerable state of poor health, Hospital to Housing gives them a roof over their head, warm meals and the case management support they need to find a place of their own. The Safe Haven, Hospital to Housing and other Transitional Housing for Veterans is funded in part by the United States Department of Veterans Affairs. The opinions, findings and conclusions stated herein are those of the author(s) and do not necessarily reflect those of the United States Department of Veterans Affairs. If you are a Veteran who is experiencing homelessness or is at-risk of becoming homeless in San Diego, please reach out to your local Veterans Affairs office or contact Father Joe’s Villages.